Cape Canaveral Air Force Station, Florida. 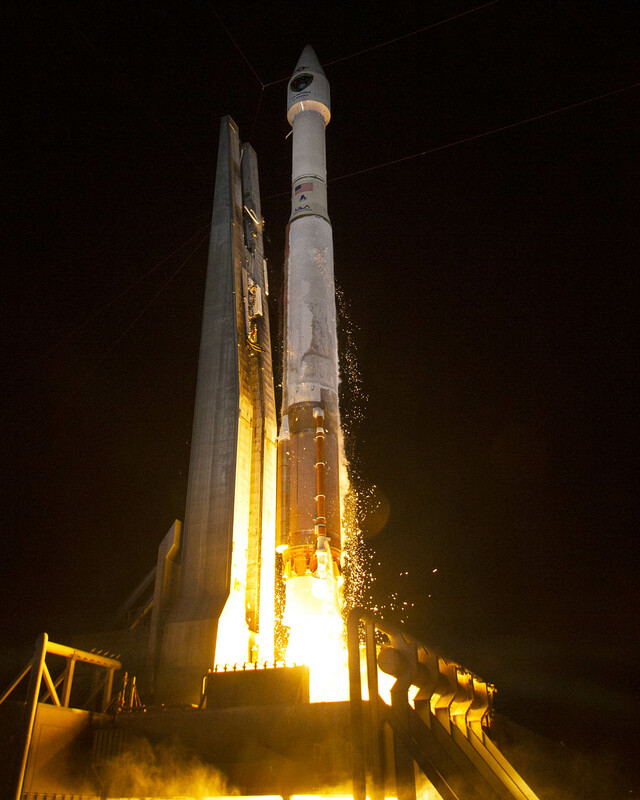 August 2, 2014 – A United Launch Alliance (ULA) Atlas V rocket carrying the seventh Global Positioning System (GPS) IIF (GPS IIF-7) satellite for the U.S. Air Force launched at 11:23 p.m. EDT yesterday from Space Launch Complex-41. This is the second successful ULA launch in just four days. GPS IIF-7 is the seventh in a series of next-generation GPS satellites and will join a worldwide timing and navigation system utilizing satellites positioned in orbit above the Earth’s surface. The sixth GPS IIF was launched May 16, 2014, also from the Cape. Created by the U.S. Department of Defense to enhance US military warfighting capability, GPS is available for use, free of charge, to anyone with a GPS receiver. U.S. and allied military forces use GPS devices in virtually every system to improve their capabilities and effectiveness while reducing risk to their forces and non-combatants. From finance to farming to tracking packages, use by the civilian community continues to grow rapidly and new commercial applications are continuously being developed. The GPS IIF system brings next-generation performance to the constellation. The GPS IIF vehicle is critical to U.S. national security and sustaining GPS constellation availability for global civil, commercial and defense applications. Besides sustaining the GPS constellation, IIF features more capability and improved mission performance. ULA’s next launch is the Atlas V WorldView-3 mission for DigitalGlobe scheduled for August 13 from Space Launch Complex-3 at Vandenberg Air Force Base, California.